You and your family depend on your home being able to provide you with comfort and security, and during the winter months, your heating system is extremely important to both of those things. When the winter reaches its coldest temperatures, you need to be sure that your Wichita home's heating system is running as well as possible. And since your heating unit will be used frequently and need to produce so much heat, you need to make sure that it's always kept in the best condition—and that begins with a high quality installation. At Ball Heating & Air Conditioning, our heating experts are all licensed, certified professionals with the training and experience you need from a contractor. We'll always be able to guarantee that your heating installation is performed to the highest standards of quality. We can install any kind of heating unit, including furnaces, heat pumps, and boilers. Our professionals will always make sure that the installation of your heating unit is done in total compliance with all codes and guidelines. When you hire the professional heating contractors at Ball Heating & Air Conditioning for any heating installation, you're guaranteed to receive the highest quality workmanship possible. We will do whatever it takes to make sure that your heating system doesn't have any problems that are caused by the installation. We'll always get the job done quickly and professionally, and we guarantee your satisfaction with all of the work we provide. Why Hire a Professional Heating Installation Contractor? Some homeowners do attempt to install heating units in their homes on their own, but it is important to remember that without professional training and experience, heating installations can be extremely difficult and extremely dangerous. The job requires specialized, professional-grade tools and equipment, as well as professional experience and expertise. Any mistakes that are made during a heating installation will be difficult and expensive to fix. Turning off the main power source. Heating units cannot simply be plugged into an electrical outlet. They need to be wired directly to your home's electrical system. Before any installation, your electrical system needs to be turned off completely. Then, the heating unit needs to be wired to your electrical system, and any mistakes that are made during this process can result in serious injuries or a house fire. Removal and replacement of heating unit. Your old heating unit will need to be removed by a professional who can cut and grind several metal parts to detach the heater, a job that requires specialized tools, equipment, and skills. Installing the unit needs to be done perfectly, since any mistakes will mean that it may not function properly, or that it will become a major safety hazard. Duct modification, replacement, or enhancement. If any of your ducts need to be replaced or modified for proper installation, our professionals will recognize the problem and make whatever adjustments are necessary. 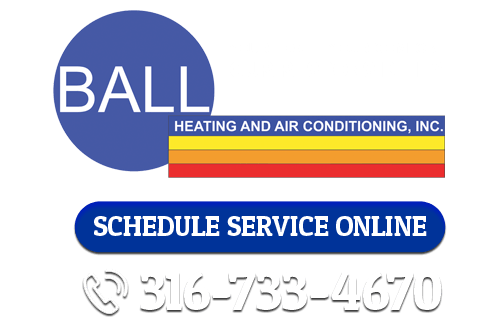 If you’re in need of a heating installation in Wichita, call Ball Heating & Air Conditioning at 316-733-4670, or fill out our online request form.